Dressed in Vetements and accessorized in Fendi, North West’s wardrobe is enviable to say the least. Her latest outfits at NYFW might actually rival those of the fashion elite. 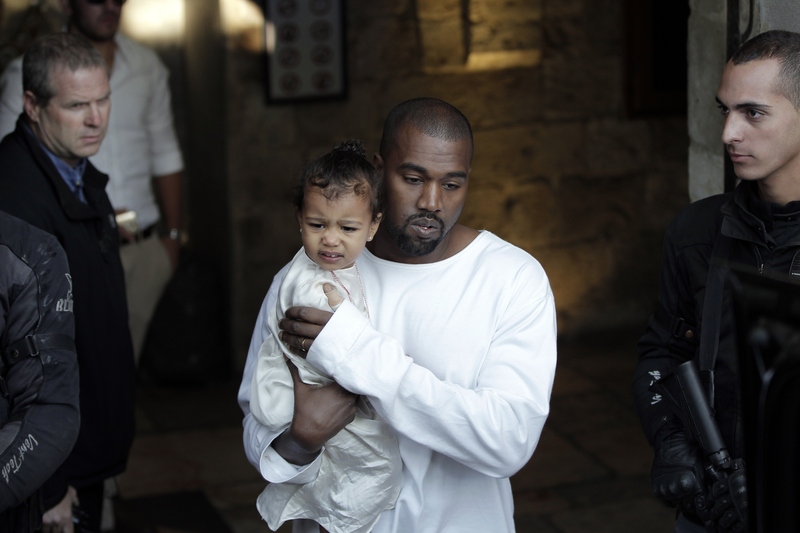 That’s right, North West’s street style fashion is also #stylegoals for the rest of us. North might be tiny, but her looks are major. According to The Daily Mail, the daughter of Kim Kardashian-West and Kanye West was photographed wearing a velvet slip dress over a graphic tee while out and about in New York City on Sept. 10. She completed the look with a black choker, a pair of exclusive Yeezy Boosts, and buns in her hair — but her best accessory was probably her matching lollipop. If only we could all look so fashionable while enjoying our favorite forms of sugar. Her young age obviously isn't a hinderance to solidifying her status as a fashion icon. While it's likely mom is the one expertly dressing her in trendy attire, North's facial expressions seem to imply that she knows exactly how rad she looks. From effortlessly moving through her day in a Yeezy sweatshirt and sneaks, to walking hand in hand with her mama in a sequin gown and Vans, North's latest fashion moments are truly inspired. Here's her '90s-worthy slip dress ensemble. White tees underneath slip dresses have been all the rage this summer, but North's take on the look is the perfect update for fall. Somehow, that lollipop makes her look even more like a cool kid. And it's not the only time she's been spotting looking fly around NYFW. At the Yeezy Season 4 show on Sept. 7, North wore a turquoise Life of Pablo sweatshirt as a dress, and white sneakers. In the days before NYFW began, North was spotted twinning with Kardashian-West, the duo perfectly outfitted for Yeezy's Sept. 5 show at Madison Square Garden. While a sequined gown might seem like an opportunity to wear fancy footwear, North West opted instead for an off-duty model look, wearing black and white Vans sneakers. Finally, back at the beginning of September, North was already preparing us to witness her amazing NYFW style — whether she knew it or not. She was photographed in New York City on Sept. 2, wearing a velvet slip dress (similar to the one she wore on Sept. 10) and that luxurious Fendi bag. Though the entire Kardashian-West family has got some seriously fierce style, North is truly at the head of the pack. Here's hoping that a Yeezy x Lollipop collaboration just might be in our future.